Memorial Weekend is coming up. It’ s a perfect opportunity to incorporate some camping-themed fun to your learning. Make a pretend (or real) fire. Sit around it and tell stories. You can even take turns telling different parts, creating conflicts and resolutions. Write sight words on marshmallows. Write math equations on fish and go fishing. Go to the library and get storybooks with camping themes. Have students write a story about camping. Camping crafts here or here. Check out other ideas on my Camping Pinterest Board. Bookshelf is a series of subject-specific linkups. 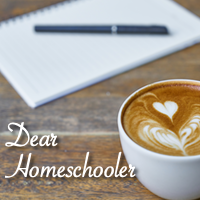 Teachers and homeschool bloggers are able to link up all related educational posts. This provides an easy reference for your school topics. Below is the camping-themed linkup. If you have a camping-related post, be sure to link it above. Maybe you just did an camping-themed activity — upload a picture below!